A series of tweets from reliable leaker evleaks, informs us about a supposed destination for the HTC One Max as well as the carrier that has apparently landed a whole new HTC smartphone. First, let's talk about the HTC One Max. This is the device codenamed the T6 that is expected to be a phablet-sized version of the HTC One. The rumored specs include a 6 inch Super LCD3 screen with 1080 x 1920 (FHD) resolution. That works out to a 342ppi pixel density. A 2.3GHz Qualcomm Snapdragon 800 is under the hood while 2GB of RAM is on board. A very un HTC-like 3200mAh cell powers the model. According to one of the tweets from evleaks, we will see the HTC One Max at AT&T. That doesn't mean it won't be available from other carriers, but what we know now is that it looks as though AT&T will be at least one of the mobile operators where the phone will be found. 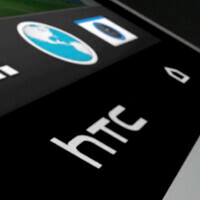 The next handset mentioned by evleaks is the HTC Zara. This model, according to a tweet from evleaks, is a mashup of the HTC One and HTC Desire line. This handset, in yet another tweet from evleaks, is expected to be heading to Sprint. Surely we will hear more about this model, as well as the HTC One Max, as we get closer to the unveiling of these two HTC manufactured smartphones. The HTC One Max sounds very impressive! I wonder if they will include a Note-like stylus with it or if they will just give you the option of owning one if you want to. I am looking forward to the announcement of this device to see how it stacks up against the Note III and Xperia Z Ultra. The Max sounds really good. HTC, and android keep brining it. Man, AT&T has been landing so many good phones lately. Sprint always get crappy phones. I wish the HTC One Max was coming to Sprint too. I'm going to guess that Verizon and T-mobile can get the Max, but Sprint's already getting the Zara so if it does get the max as well, it would be nice, but doesn't seem likely. The Zara sounds very midrange to me. I hope Sprint gets both. I don't care if a phone is thin if it's only going to last a few ours... give me a htc smartphone that lasts a few days on one charge with regular use like the maxx or the note2 nd i'll be happy... htc trying to hard to keep these phones slim... but then again they said the new 4.3 jelly bean supposed to drastically improve battery life so who knows..
Zara could be a code-name for a new mid-range Evo. "Zara" doesn't sound all that HTC-ish, and the Evo name is much more powerful. If they do make a new Evo I want it to be a game changer. Not just more of the same. The original Evo was so cool and good quality and I don't think any of the following Evos had nearly the same attention to detail. AT&T is always first to announce the new flagship phone. Maybe Zara is just the mini because they said its a mash up of the Desire family and the One. So its probably somewhere in between.